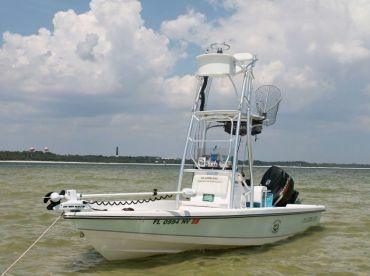 It doesn’t get much better than Pensacola Beach inshore fishing for just getting away from it all. Yes, this popular holiday destination is largely popular for its white sandy beaches. But, we were horrified to find out, there are still some tourists who don’t realize that the best fun round here is to be had in the water. Don’t be like them. 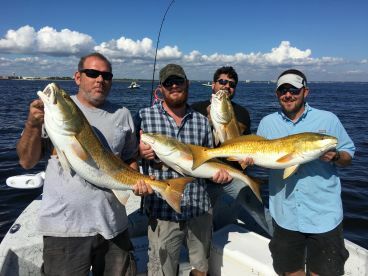 Dip a line and see for yourself just how good it can get when you mix great weather, some of the state's best inshore sportfish, and surroundings that are... well, simply beautiful. 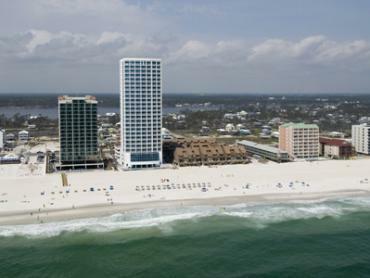 Pensacola Beach is perched between the enormous Pensacola Bay, the Santa Rosa Sound, and the Gulf of Mexico. 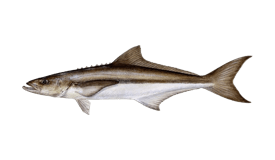 This means inshore guides have a whole world of possibilities to choose from when it comes to hooking a tasty catch. 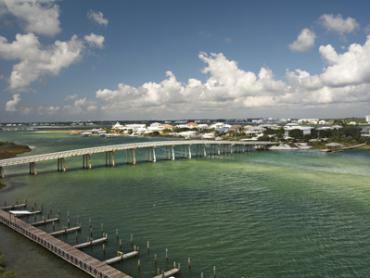 The Santa Rosa Sound is characterized by calm seas and beautiful nature. The waters round here consist of grass flats and sand potholes, where all members of the Inshore Slam make their home. 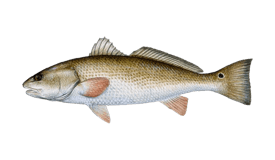 Redfish, Speckled Trout, and Flounder all come here in healthy numbers and it’s not hard to find them if you know where to look. 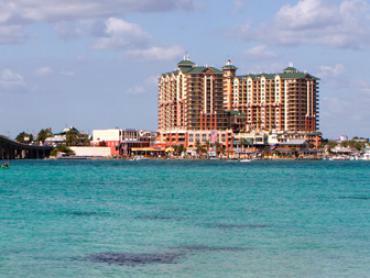 Pensacola Bay is where things heat up a little. 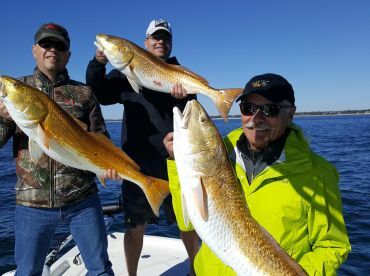 A short boat ride away from Pensacola Beach, it is home to a steady population of Bull Redfish in the fall, making way for elusive Gator Trout in the winter. 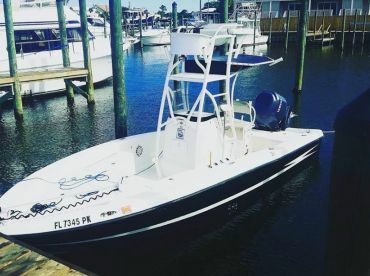 During the rest of the year, Spanish Mackerel, King Mackerel, Sharks, Sheepshead, and even Red Snapper and Gag Grouper can be caught in these deep waters. This is one of those places that quite literally brings nearshore fishing inshore, seemingly purely for your convenience. 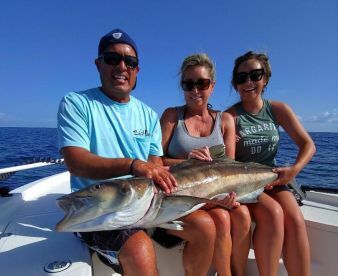 The Gulf of Mexico laps against Pensacola Beach’s shoreline, and inshore fishing lets you experience the excitement of hooking up with some of its favorite sportfish. 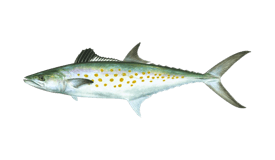 Get the light tackle out and prepare yourself for a fun day fishing off the beaches for Jack Crevalle, Spanish Mackerel, Little Tunny (False Albacore), and Pompano. 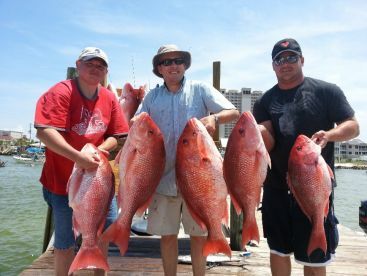 The annual Albie run is probably the best-kept secret of Pensacola Beach inshore fishing. Locally known as ‘Bonefish,’ this feisty Tuna may not have the sportfishing prestige of its namesake, but it sure fights just like one. 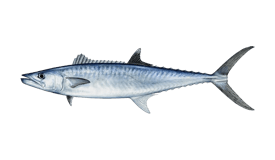 Catch a 'bone' of your own, spot a huge Bull Redfish in clear waters, or feel the drag strain against a King Mackerel... 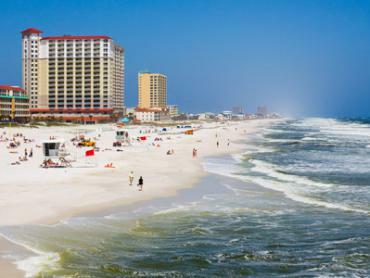 Whichever road you go down, you’ll find that there’s a lot more fun to be had than just sitting around on the sand in Pensacola Beach. "Half Day with Captain Joseph"
My son and I did the half day inshore morning trip with Captain Joseph and had a great time. Caught some nice Sheepshead and Flounder. He is a very friendly and helpful guide! Would highly recommend and will definitely go back to him when we come back! Thanks Captain Joseph!!! "4 hour fishing trip with fish frenzy charters and CAPTAIN DEWBERRY"
It was a good trip made it off shore and second half went inshore the captan new his stuff to find fish and how to catch different species.